Marina Gross has the unfortunate privilege of being the wrong translator at the wrong time. She was the only other American who was in the room with President Trump and Russian President Vladimir Putin before their controversial joint press conference in Helsinki, Finland on Monday. The two leaders met for nearly two hours behind closed doors. Rep. Bill Pascrell (D-NJ) is one of several Democrats wanting to subpoena Gross to testify before Congress to divulge what the men talked about. "Given the public concessions President Trump made to Russian President Vladimir Putin by siding against the U.S. intelligence community, law enforcement, and our military officials about Russia’s attack on our democracy, Congress and the American public deserve to know the details of their private conversation," Pascrell wrote. 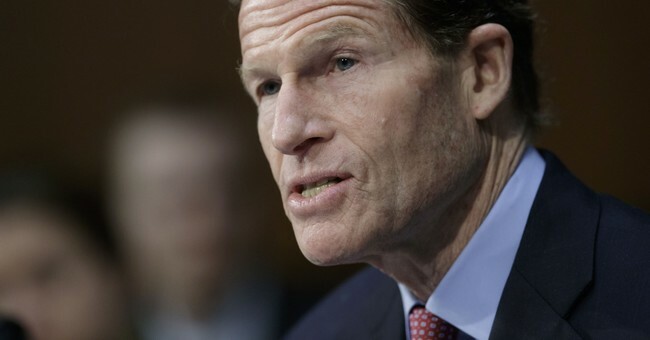 Sen. Richard Blumenthal (D-CT) explained on CNN's "New Day" that he's in favor of a subpoena too - not just for the translator, but for the national security team that debriefed Trump after the meeting. Trump's performance during his presser with Putin has been condemned by Republicans and Democrats alike. He should have defended American democracy and put Putin in his place for Russia's meddling in our elections, according to several lawmakers. It was a disappointing end to his European tour, Sen. John Kennedy (R-LA) suggested on CNN Wednesday. He started off like a "man on fire," demanding more of our NATO partners, but seemed very "uncertain" when it came to his meeting with Putin. He was "off his game," Kennedy said.